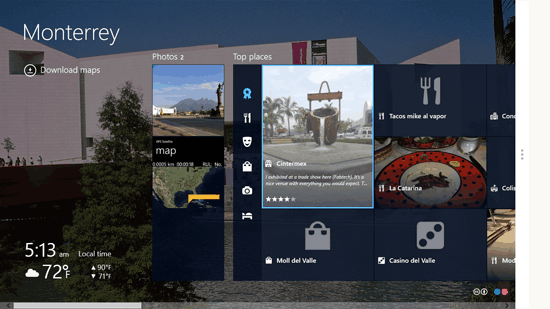 HERE Maps is a free map app for Windows 8 and 8.1 to help you explore, navigate and browse the map. The app asks you to login to your HERE Maps account or you can also make a new HERE Maps account in the app by clicking on register. Logging in to your account will give you a personalized dashboard and elements in the app. If you do not want to log in to your HERE Maps account then you can click on “Or just jump right in” text on bottom left of the app screen. You will be asked to allow the HERE Maps app to have access to your location, click on allow to locate where you are at present otherwise you can manually do that from settings. HERE Maps let you manually position the location of the app based on your location of your network. You can also manually position it with the help of moving the dot on the map or from the settings. In the app, you can also browse the city pages that show you different things about the city you are in or about any other city you wish to see. These details include local time, current weather, photographs and top places. In top places, you can also view them by different categories like eat & drink, going out, shopping, sights & museums and accommodation. 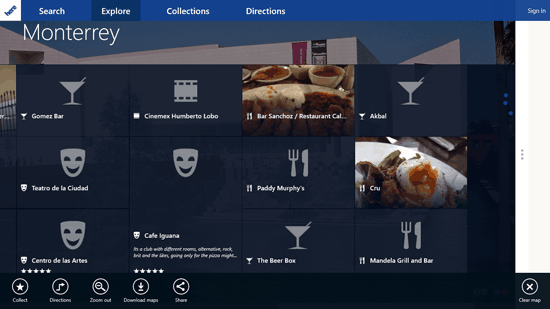 In the app you can browse content from any place, view its photographs and the neighborhood. 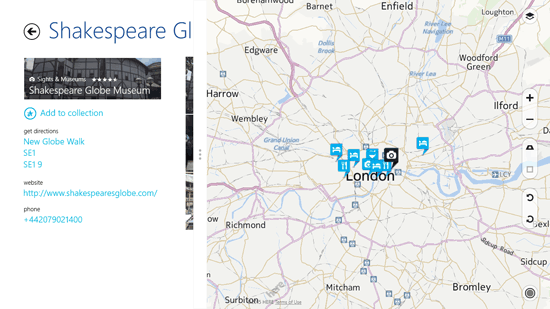 HERE Maps show the places on the interactive map as well. You can download different maps for different locations from the HERE Maps server and they will be saved on your app for easy access. Different corresponding icons will be displayed on the map to show different places. When you click on the icons on the map, they will show the details about that place on the left side column.